To almost no one’s surprise, the Red Sox chose not to go with three catchers to begin the season, and the odd man out was Sandy Leon, whom Boston placed on waivers Sunday. He cleared waivers Tuesday and he has until today to decide whether to accept an assignment in Triple-A Pawtucket or become a free agent. Thus, it will be Christian Vazquez and Blake Swihart to begin the season. Vazquez remains the number one catcher on the depth chart, while Swihart offers utility options at nearly every position in the field. Dustin Pedroia, who missed all but three games last season, had hoped to make the Opening Day roster but will need extra time to rehab his surgically-repaired knee; this will be the second straight season he starts on the injured list (IL) (this term replaces the previously-used disabled list moniker). Eduardo Nunez and Brock Holt will split time at second until he returns. The star of the infield is undoubtedly Xander Bogaerts, who finished last season with a career-best .833 OPS and a 135 OPS+. Another player whose star continues to rise is Rafael Devers, who played his first full season in 2018 and is still only 22 years old. With Steve Pearce on the mend due to an injury late in spring training, Mitch Moreland and Sam Travis will split time at first base, with Moreland facing all right-handed pitching; Travis will like head back to Pawtucket once the World Series MVP is ready to return. 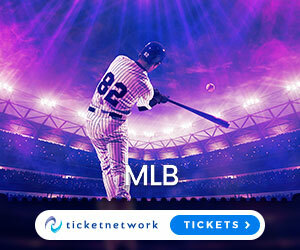 On a team filled with talent – MLB.com picked Boston’s lineup as the best in baseball entering the season – the one player who sticks out above everyone else is 2018 AL MVP Mookie Betts. His WAR of 10.9 last season tied Ted Williams for the second-best single season mark in team history among position players, bested only by Carl Yastrzemski’s remarkable 1967 season. Boston also features arguably the best outfield talent in baseball, split between Betts, AL batting champion J.D. Martinez, left fielder Andrew Benintendi, and center fielder Jackie Bradley Jr.; Martinez will most often get the start as the team’s DH as was the case in 2018. Boston’s rotation, picked as the fourth best by MLB.com, includes the aforementioned Sale, David Price, Rick Porcello, Nathan Eovaldi, and Eduardo Rodriguez. Dogged by his inability to win games in October, Price’s postseason run in 2018, including a victory in the deciding game of the World Series, quieted the critics and nearly earned him World Series MVP honors. Price’s first start will not be until Monday against Oakland to give him more time to recover from norovirus, which slowed him during spring training and limited him to only a handful of innings. The bullpen appears to be the only question mark for the Red Sox entering the season. Two notable subtractions – closer Craig Kimbrel, who remains unsigned as the season begins, and Joe Kelly, who went to the Los Angeles Dodgers via free agency – have been left unresolved in the minds of many baseball analysts. Cora has stated that, to begin, Matt Barnes and Ryan Brasier will split duties as the go-to pitcher in the ninth. Rounding out the bullpen will be Brewer, Heath Hembree, Tyler Thornburg, Brian Johnson, Brandon Workman, and Hector Velazquez.